There is something happening in the UK cycling scene at present that deserves greater scrutiny; a groundswell of popular cycling opinion, a heart-felt movement that is gaining traction all the time. It started with a whisper just a few years ago, and has grown in to a national movement that shows no sign of slowing down. I'm talking about the wave of bike protests that have swept across the UK recently, that are lead by a more combative and vocal group of cycling campaigns. 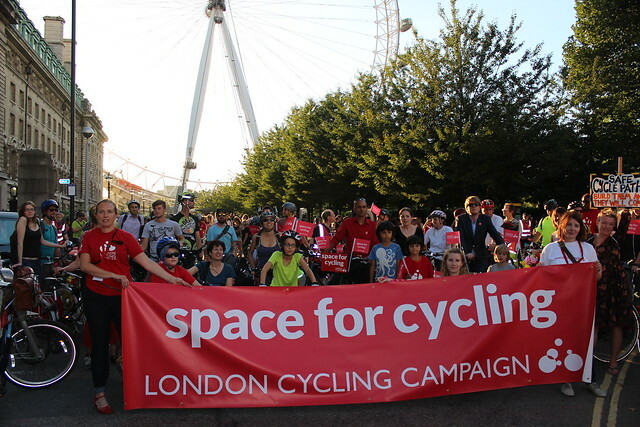 As recently as 2010 the London Cycling Campaign were so meek in their aspirations, and so unclear in what they actually stood for, I seriously questioned on this blog whether they were even pro-cycle lanes or not. Since then the LCC executed the massively successful "Go Dutch" campaign which saw 20,000 cyclists on the streets in protest and secured serious commitments from the Mayor which led to his pledge to spend nearly ONE BILLION pounds over the next ten years making London safer and more inviting for cyclists. The substantially separated Cycle Superhighway 2 extension, from Bow roundabout to Stratford, will open in the next few weeks, taking away a lane of traffic and giving it over to safe space for cycling.